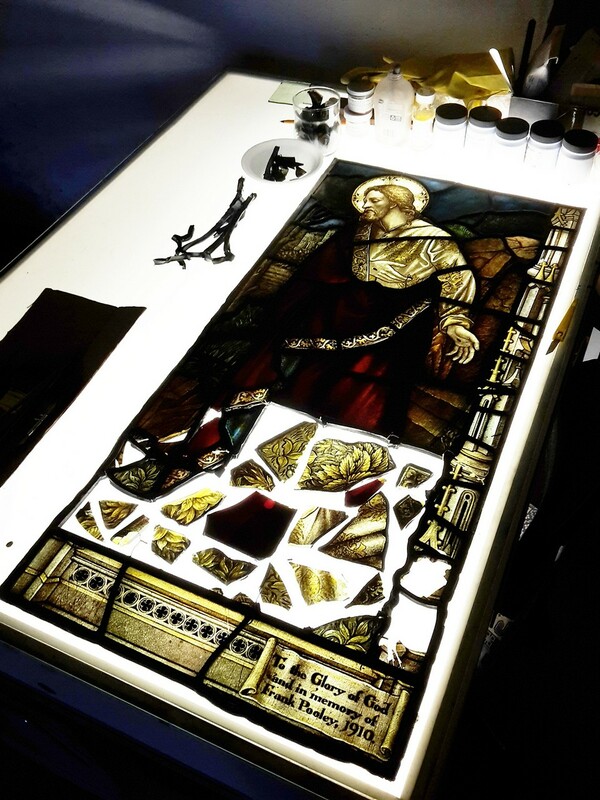 Lightworks have been given responsibility for the repair and restoration of a partially destroyed early 20th Century stained glass window at St. Mary’s Church, Liscard, Wallasey. 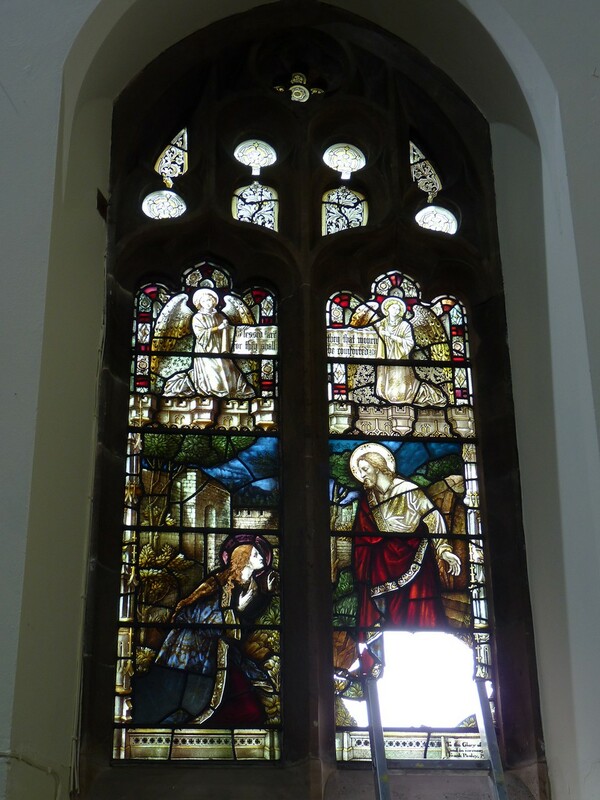 The window depicts the Resurrection, and having already been heavily repaired with some questionable quality workmanship around 30 years ago, was unfortunately subject to extensive damaged a second time as the result of a break in. 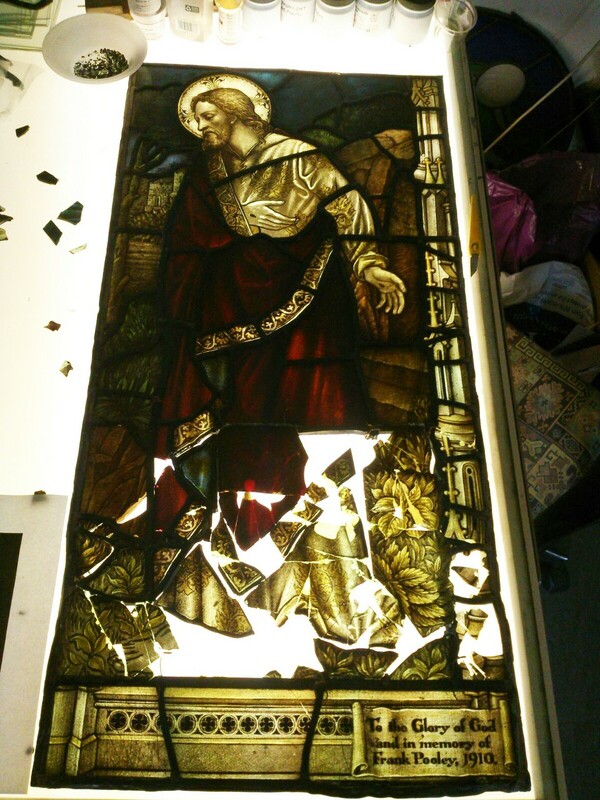 Having carefully removed the damaged panel from church for transportation to our studio, we are currently half way through the challenging process of its restoration. 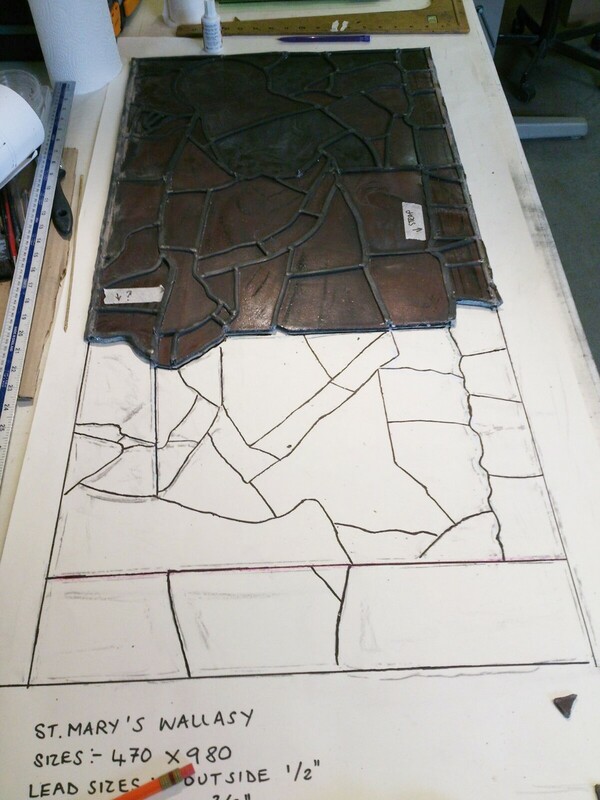 Our progress to date includes painstakingly piecing back together the hundreds of salvaged glass fragments, stripping out the lead-work to the lower section of the panel, re-drawing the pattern and its missing/damaged sections, glass cutting and painting & firing of trace lines ready for shading layers. 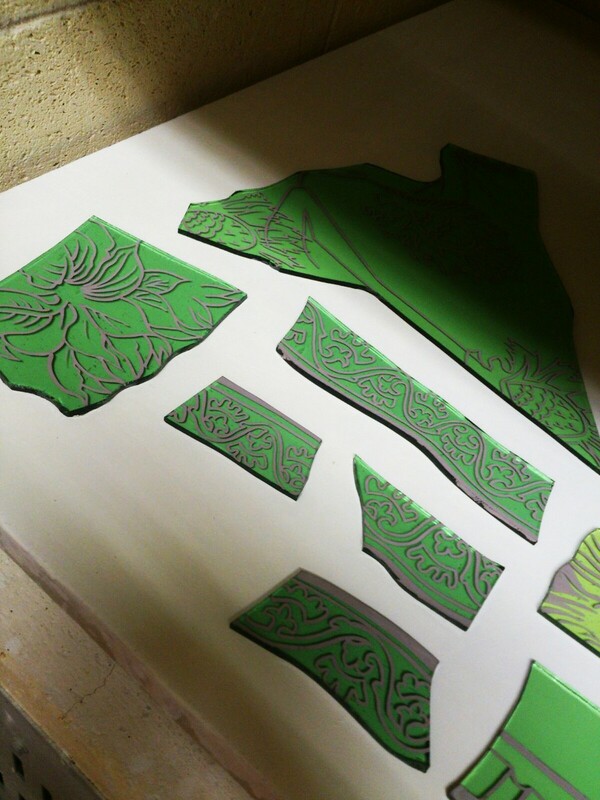 Where the previous poorly executed repairs have been undertaken we are striving to re-paint these in a style and quality which matches that of the original. 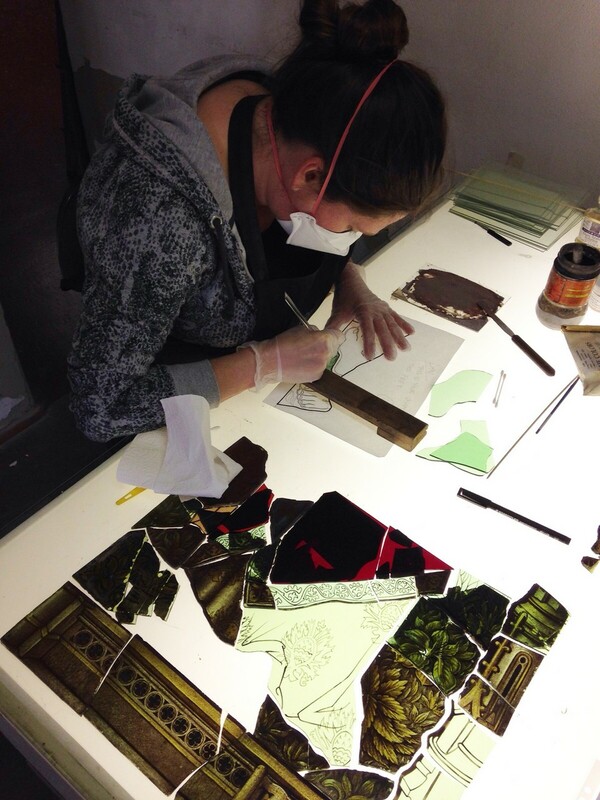 We will be posting a second update on our progress as the project nears completion.